Here at Dr. Vim’s, we are big fans of rosehip. So much so, that we offer a rosehip and hibiscus tea blend that provides the body with powerful health benefits, plus it tastes delicious! If you are looking for a creative way to enjoy our rosehip and hibiscus tea, check out our latest recipe here. But, for now, let’s talk about all the amazing things rosehip has to offer by breaking down the top five health benefits. #1 Rich in Antioxidants: Rosehip is rich in powerful antioxidants to help support a strong immune system. Antioxidants are great for fighting off free radicals in the body, so antioxidants are excellent for helping the body fight off disease. #2 Rich in Vitamin C: If you are looking for an herbal tea to enjoy during cold and flu season, hibiscus tea is the way to go! It is rich in vitamin C to also help support a strong immune system. #3 Reduces Inflammation: A big part of supporting overall wellness is reducing inflammation. Rosehip tea is a great all natural anti-inflammatory you can enjoy to keep inflammation at bay. 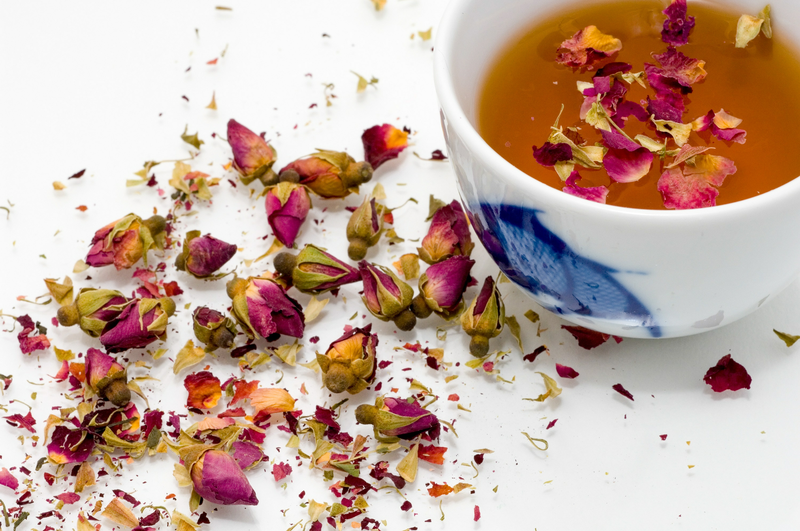 #4 Supports Detoxification: Rosehip tea can help remove built-up toxins from the body which can help support overall wellness, a healthy weight, and better digestion. #5 Supports Skin Health: Due to its natural antioxidant properties, drinking rosehip tea may have a positive impact on the health of your skin. If you are interested in trying rosehip tea to see what it can do for your health, give our refreshing rosehip and hibiscus tea a try! It’s delicious and packed full of amazing health benefits.